The IPO comprises fresh issue aggregating up to Rs 250 crore besides an offer for sale of up to 42,403,271 shares. Sources said the IPO size is estimated to be around Rs 1,250 crore. New Delhi: Real estate firm Shriram Properties has received market regulator Sebi's go-ahead to float an initial public offering (IPO) through which it plans to raise about Rs 1,250 crore. The firm, which approached the regulator in December 2018 seeking its clearance to launch IPO, obtained Sebi's "observations" on April 9, according to the latest update with the market watchdog. Sebi's observations are necessary for any company to launch public issues such as IPO, follow-on public offer and rights issue. 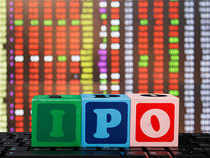 According to draft papers, the IPO comprises fresh issue aggregating up to Rs 250 crore besides an offer for sale of up to 42,403,271 shares by existing shareholders, including Tata Capital Financial Service and TPG Asia, draft papers filed with Sebi showed. The company is looking to consider a pre-IPO placement of up to Rs 100 crore. Funds raised through the issue would be utilised for repayment of certain borrowings availed by the company or its subsidiaries and for general corporate purposes. Axis Capital, Edelweiss Financial Services, JM Financial and Nomura Financial Advisory and Securities will manage the company's public issue. The equities will be listed on the BSE and the National Stock Exchange. Shriram Properties, part of the Shriram Group, is a leading residential real estate development company in South India, primarily focused on the mid-market and affordable housing categories.